This year has been a little strange and incredibly busy for me at school. As a result, I haven't been blogging nearly as much as I would like to. However, I recently encountered a GSuite question about sharing settings that inspired this blog post. Sharing settings are so important so that we can ensure that we are following copyright laws, keeping student information private, and storing information responsibly. 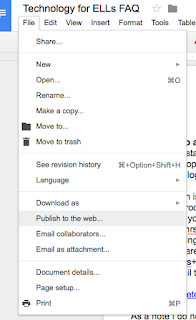 This quick video outlines the procedure for sharing a document on Google Drive. 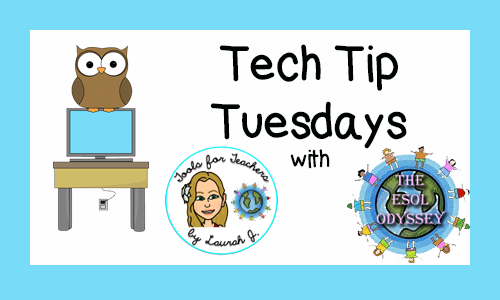 Keep in mind that this part is specific to GSuite for Education- we have a few more options and protections available than normal Google users. Yay! 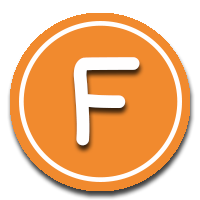 Can edit- this setting gives the other person full editing rights to make any changes to the document, share with others, etc. 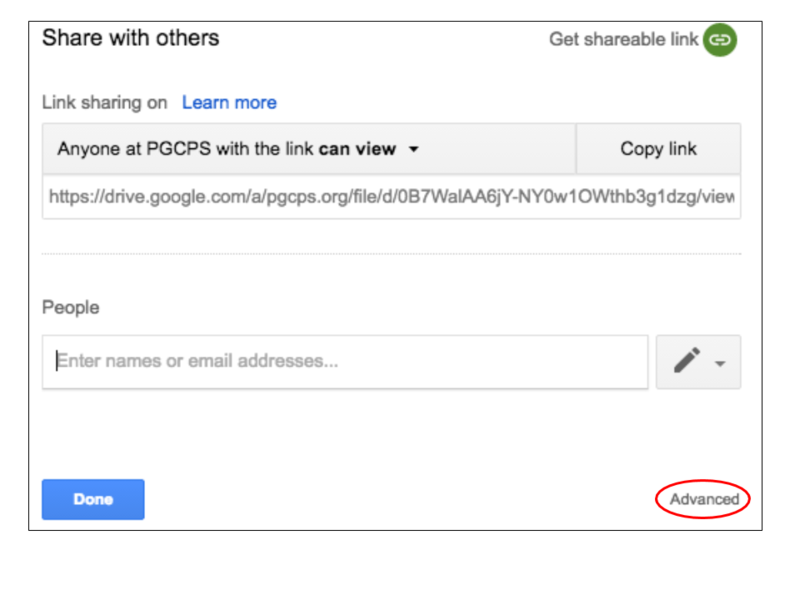 Link sharing is best when you are sharing with a large group of people, such as an entire school or district, or when sharing with parents. 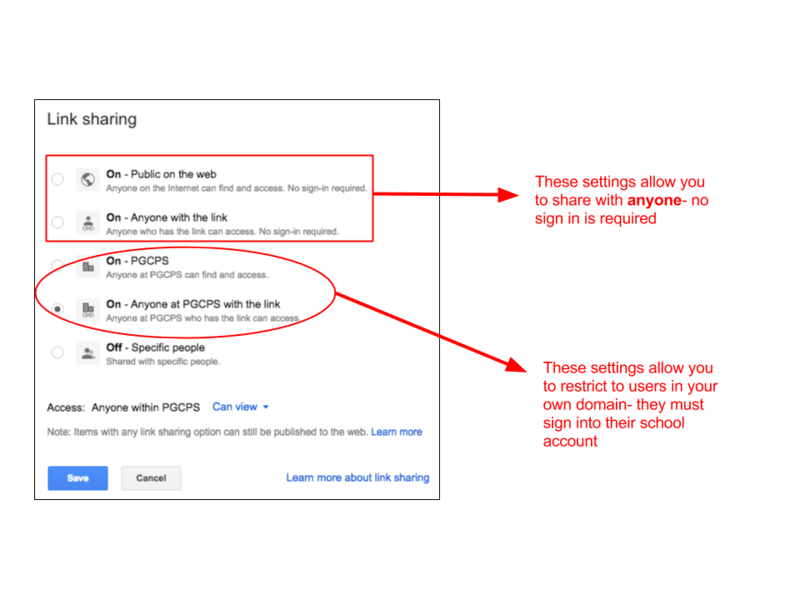 Please note that in some GSuite domains, administrators have chosen to enable settings that prevent sharing outside the domain. 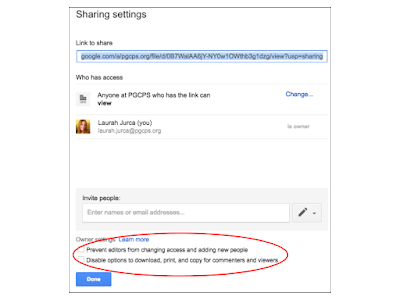 When you use link sharing, you have several options that combine with the options above. You will still need to decide whether those you share it with via link can edit, comment or view, as outlined above. Public on the web- when you select this setting, anyone on the internet can find and access these documents. 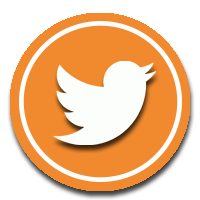 They are searchable and can show up in Google Search Results. Anyone with the link- these documents are also accessible to anyone on the internet, but only if they have a direct link. These are not searchable and cannot be found in a Google Search. 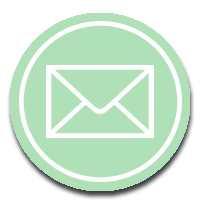 The last two choices allow you to share easily within your domain, and are not accessible by anyone who is not signed into an account associated with your school or district domain. Anyone at your domain with link- anyone in your domain can access these documents, but must have a link to do so. Please remember, you still must choose whether those you share with via link can view, comment, or edit. When sharing a document with others, Google allows you to add some additional protections to help protect your work and that of others. 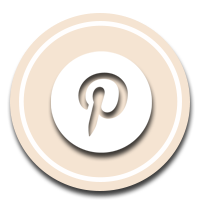 From the sharing tab, follow the "advanced" link in the lower right corner as shown in the image below. With this screen you can change permissions you've already given, such as reverting an editor to a viewer or revoking access altogether. Down at the bottom, in the area circled red in the above picture, you're also provided a few special options as the document owner. 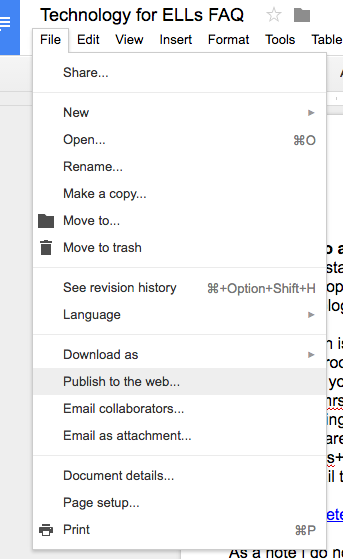 Another way to share a document is by publishing it to the web (found in the file menu of the open document). 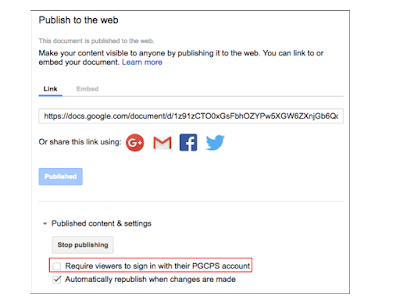 When a document is shared to the web it is viewable by anyone and can be picked up in Google Searches unless you click the option that requires users to sign into their school account on your domain (shown in the image below). This is the case regardless of whatever other settings you have on the document. Once it is published to the web, it is no longer private until you click the "stop publishing" button. 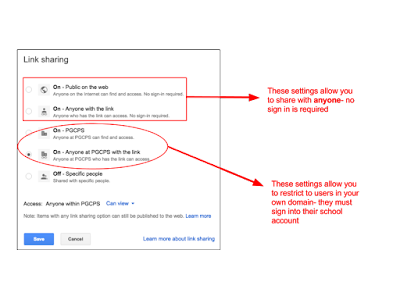 I hope this better help you to understand how Google's myriad sharing settings work and helps you to choose wisely to protect sensitive student information and follow copyright laws!